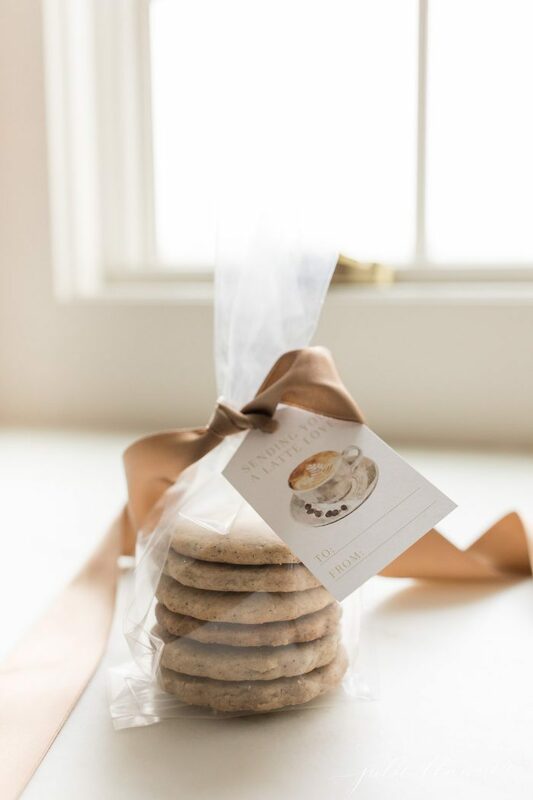 Espresso Cookies are a classic buttery shortbread cookie with a buttery crunch and rich espresso flavor made with staple ingredients and espresso powder. 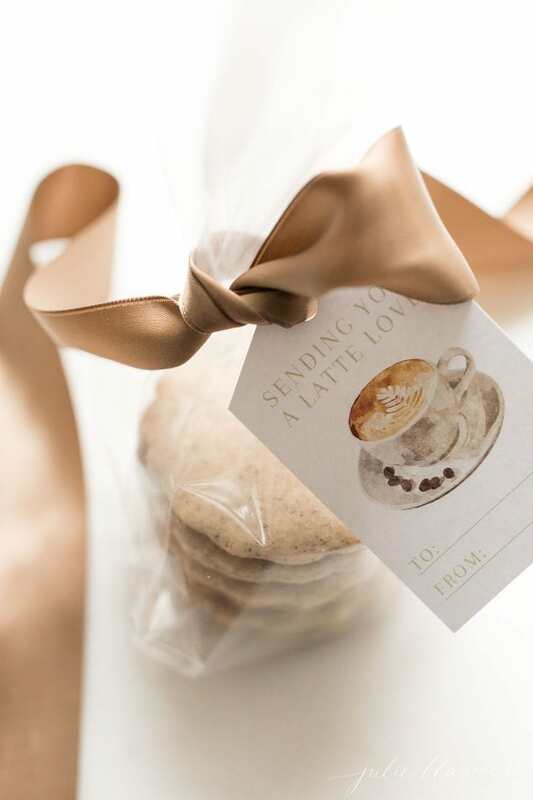 Latte Cookies easy to make and make a beautiful gift for the holidays. We’re baaack! 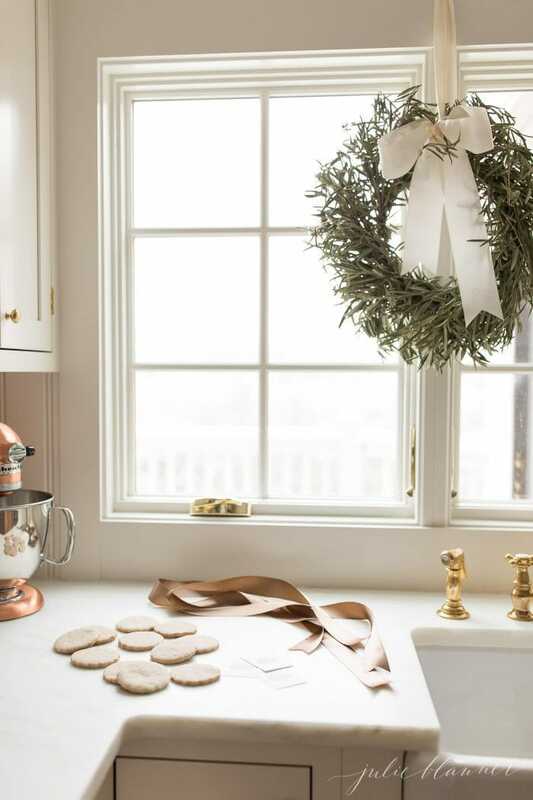 The past couple years I’ve collaborated with my favorite entertaining friends (who you may recall from our trip to Round Top) to bring you new Christmas cookie recipes. 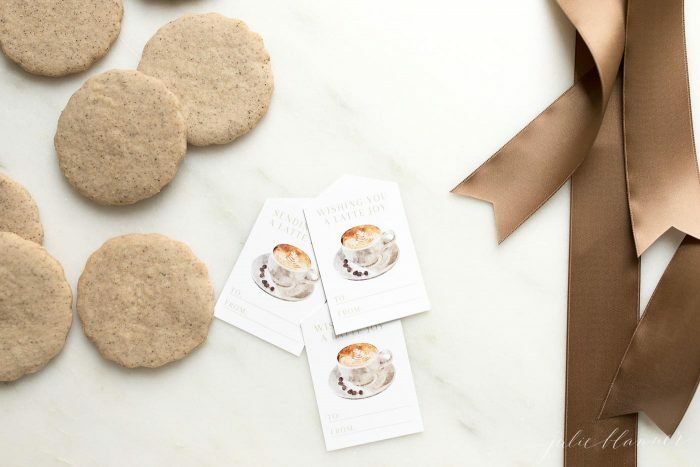 This year I’m sharing another very giftable Christmas cookie recipe – Espresso Cookies! 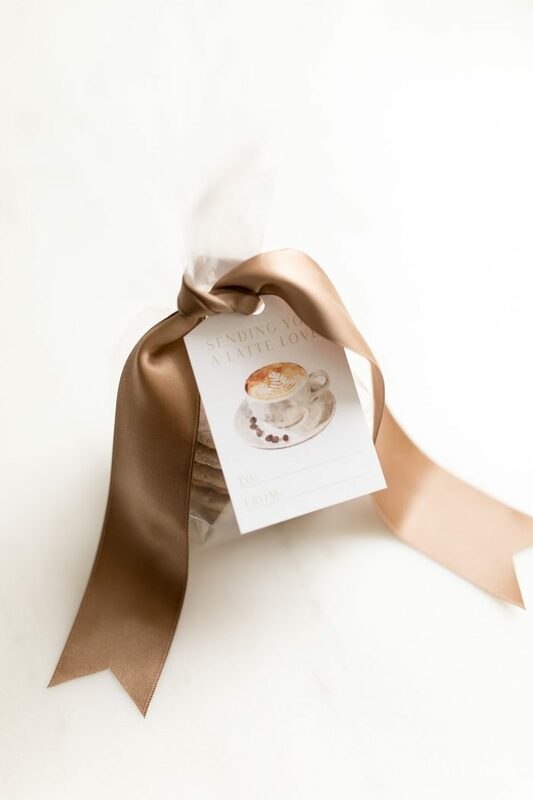 Espresso Cookies are beautiful cutout cookies with rich espresso flavor and a nice buttery crunch. 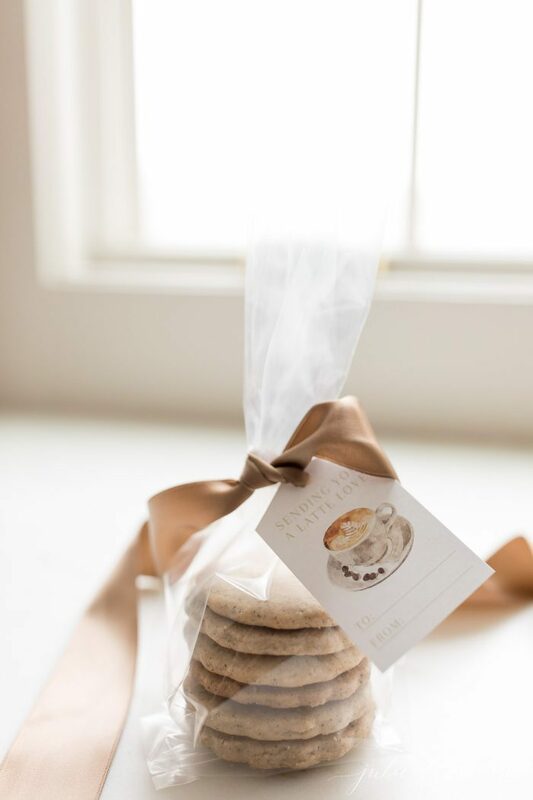 Espresso Cookies or Latte Cookies are incredibly delicious and easy to make. 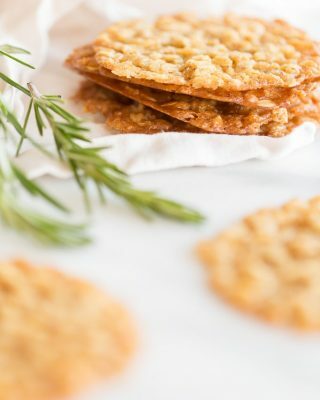 They’re a twist on traditional shortbread cookies made with staple ingredients – butter, sugar, vanilla, flour, salt and of course, espresso powder! Combine sugar, butter and vanilla. Add flour, salt and espresso powdered until combined. Shape dough into a disc, wrap and refrigerate. Roll out dough and cut into shapes. 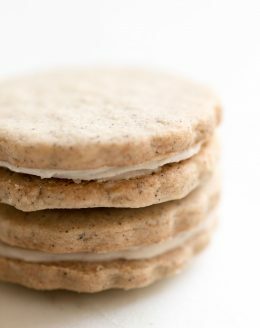 And add the optional espresso cream filling for an extra indulgent treat. It’s so good I could eat it by the spoonful! 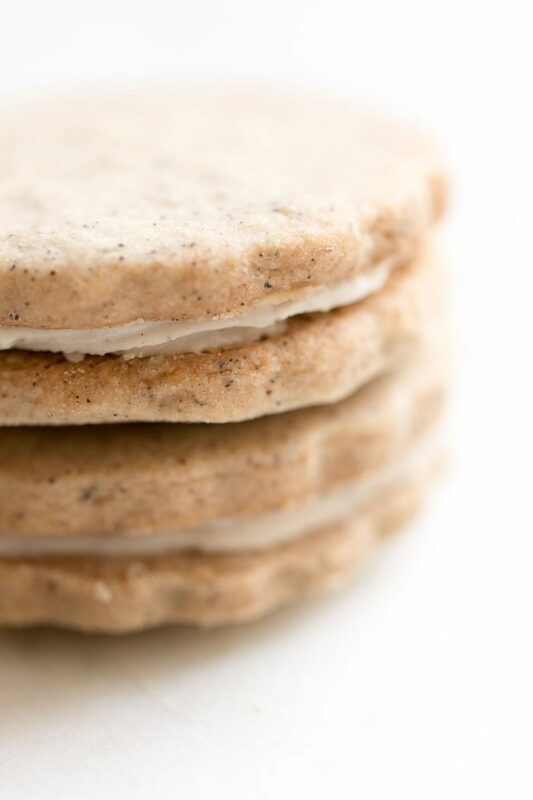 The espresso cream filling is made with water, espresso powder, butter, powdered sugar and vanilla. 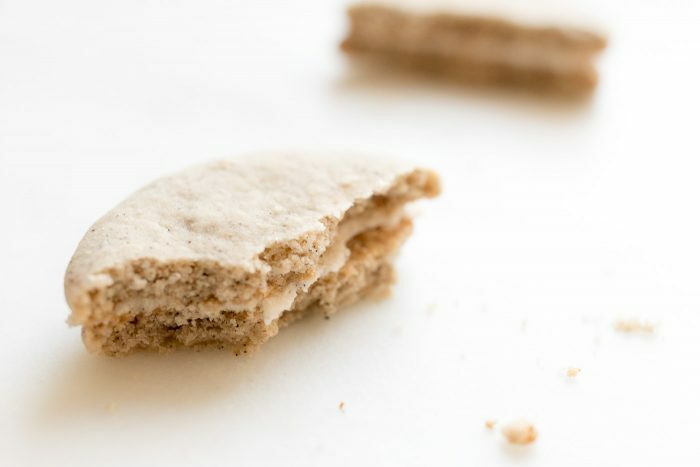 What Kind of Espresso Powder Should I Use for Espresso Cookies? 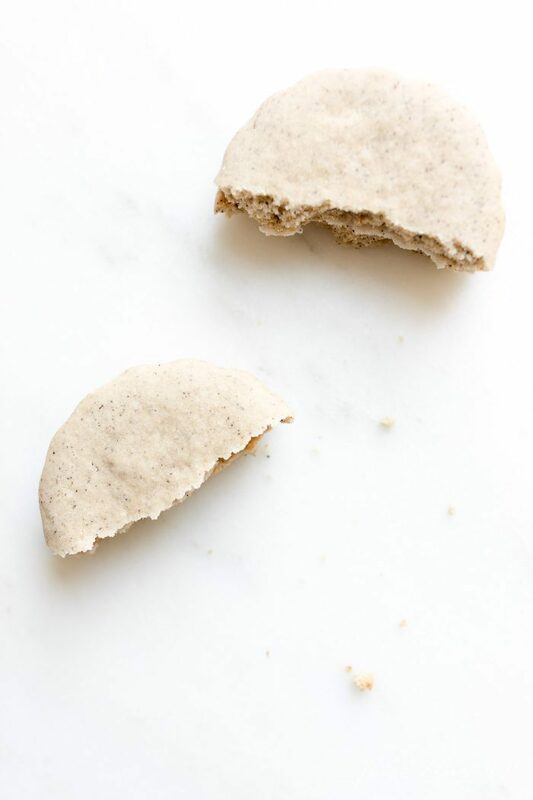 I use this espresso powder because it blends so seamlessly into recipes, but if you’re in a pinch with something easy to find in your grocery store, this espresso powder will do, too! 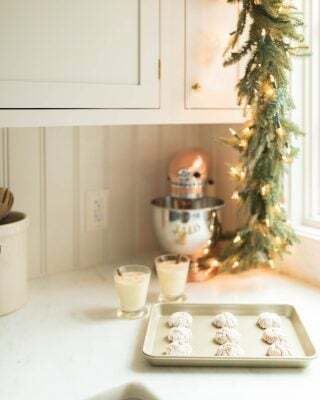 I used a traditional scallop cookie cutter, but you can make a variety of shapes using a coffee mug cookie cutter, travel coffee cup cookie cutter or traditional Christmas shapes. 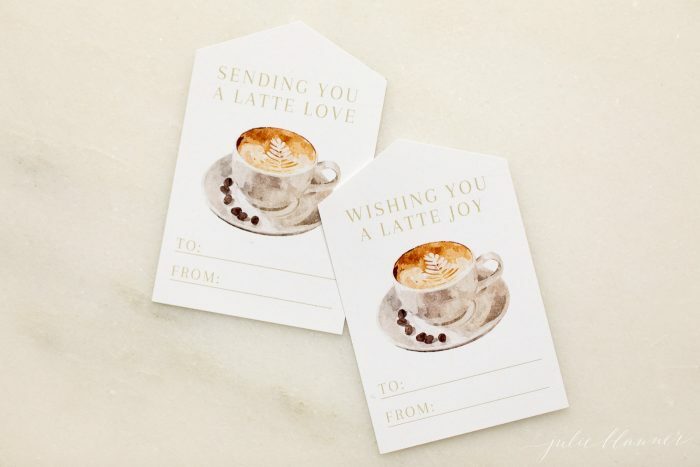 I have created free printable gift tags for subscribers that say “Wishing you a latte joy” and “Sending you a latte love”. You can get them by subscribing here! 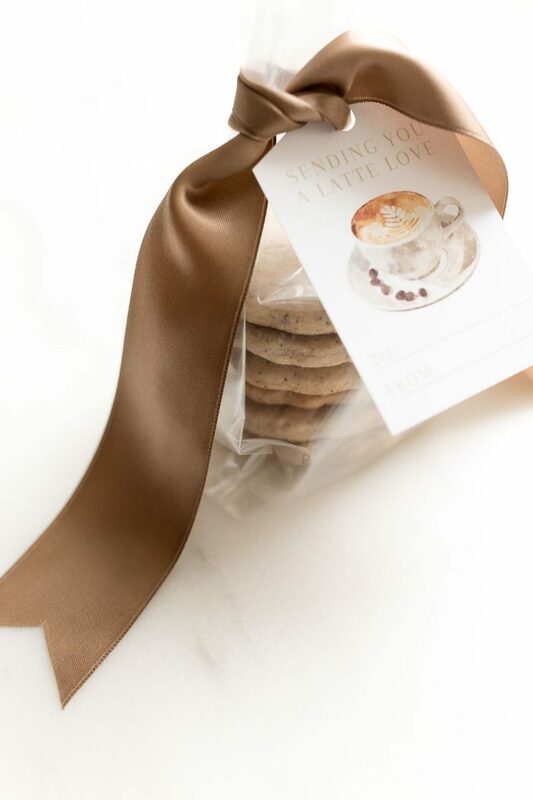 They stack beautifully and are easy to package in cellophane bags tied with a beautiful ribbon. 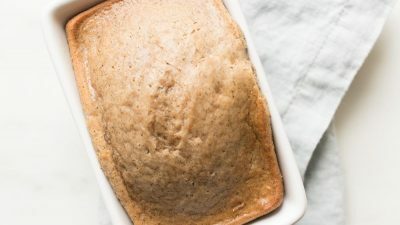 If you love latte a latte, you’ll also love this easy Latte Bread. 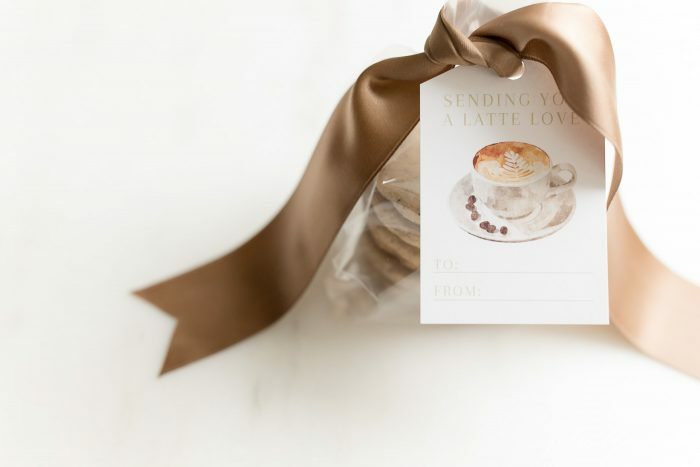 You can make 6 giftable latte loaves in just 5 minutes hands on time. 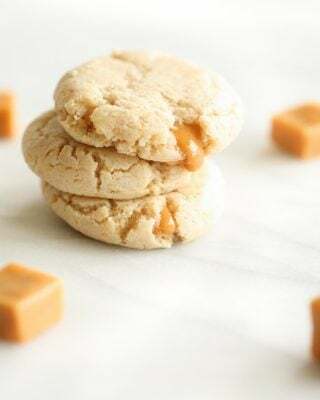 If you make these Latte Cookies, don’t forget to tag @julieblanner and leave a 5 star review in the comments below! Add flour, espresso powder and salt and mix until combined. 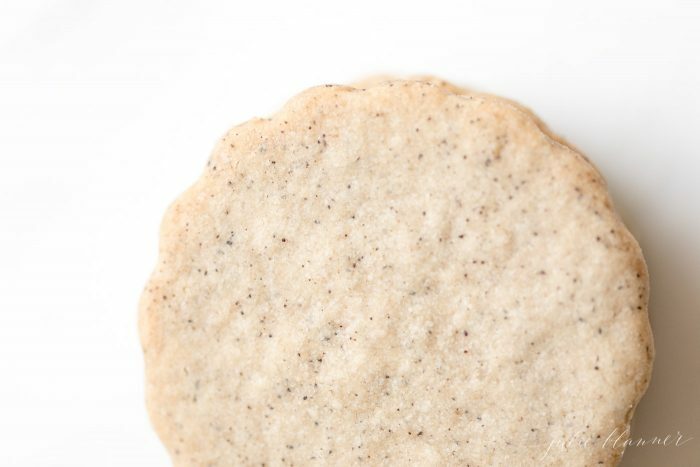 On floured plastic wrap, press into a disc shape (like a thick plate) wrap and refrigerate 30 minutes. OPTIONAL: Meanwhile combine cream filling ingredients. Set aside. 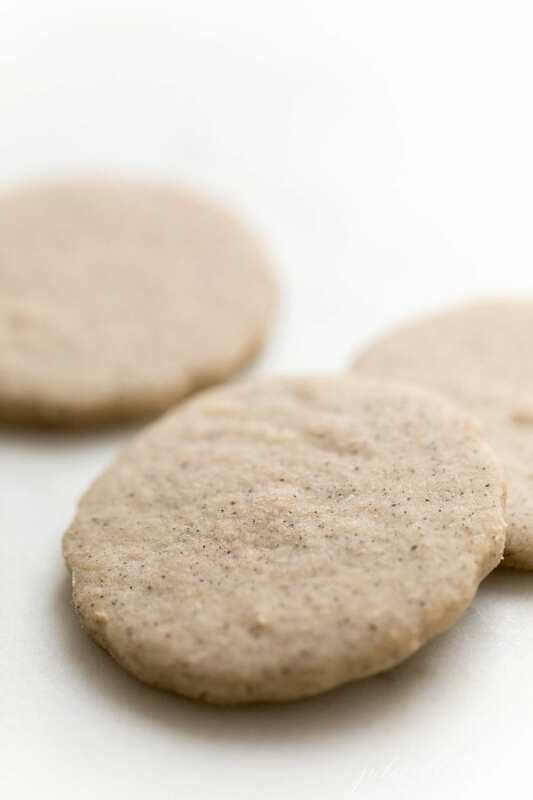 On floured parchment paper, roll dough to 1/4" thick. Cut dough into shapes and peel excess dough dough away. 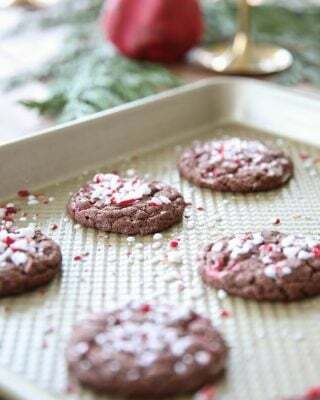 Transfer parchment paper filled with cutouts on cookie sheet. Bake 15 minutes (based on a 3" cookie). 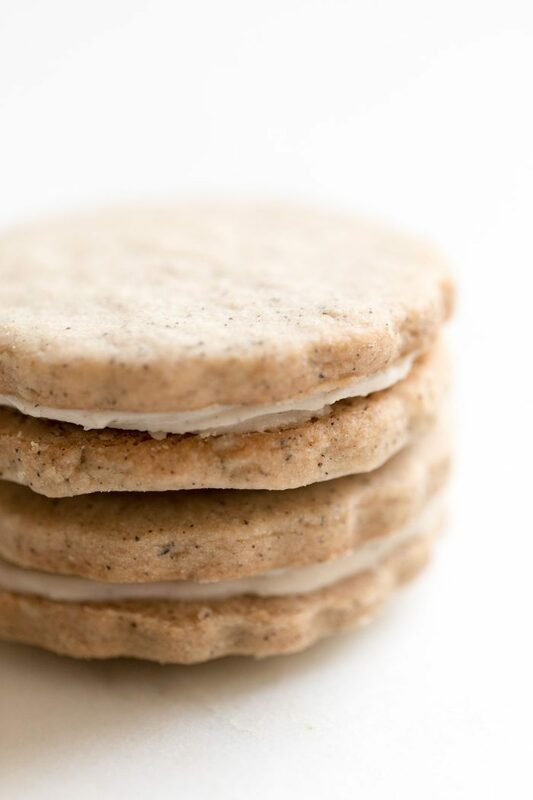 OPTIONAL: Allow to cool and ice one cookie with cream and top with another cookie. Use various cookie cutters to create unique shapes. Larger cutouts will require additional baking time while time will need to be reduced for smaller cutouts. 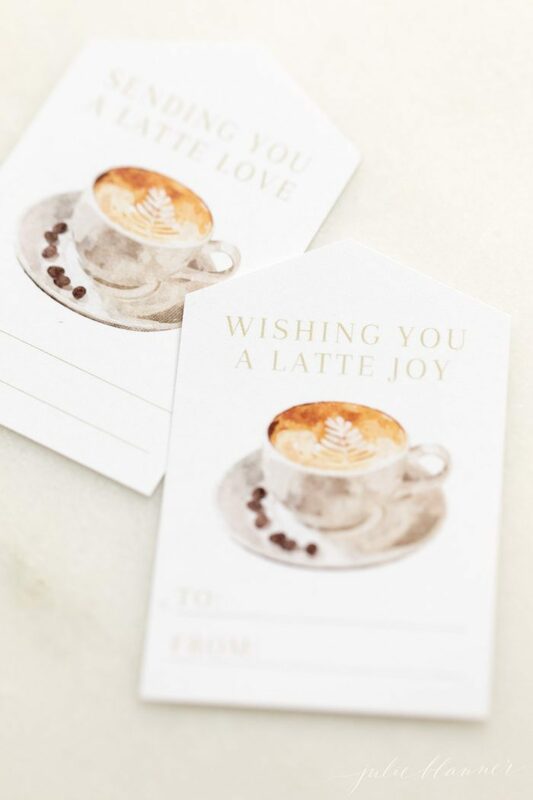 Wishing you a latte joy this holiday season! These are so beautiful! Love the flecks of black in them! Dying to try these! 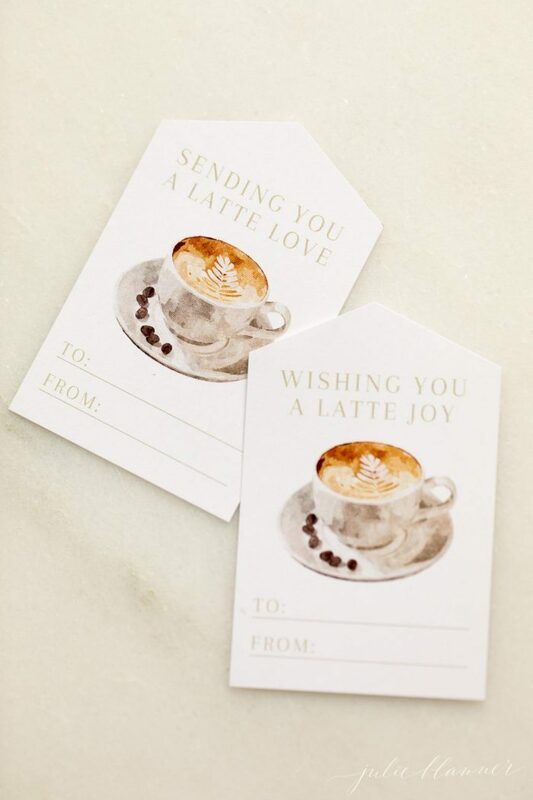 Right up my coffee-loving alley. These sound amazing and they are so so beautiful packaged this way! I would love to receive these as a gift! They look delicious. Hi Julie, these cookies look delicious! Do you recommend a vegan alternative to the butter? 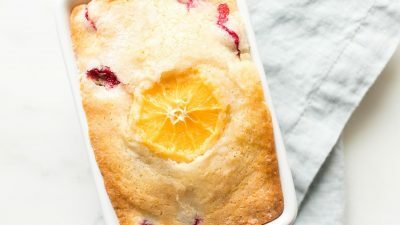 I’d love to make these for my vegan family this Christmas! I’m sorry, I haven’t tested any but if you do, let me know! In the ingredients, the recipe lists 3 tbsp espresso powder followed by 1 tsp espresso powder. Should be one or the other? Love the gift ideas! Both I just don’t have a great way to list it in my recipe card. Sorry for the confusion.